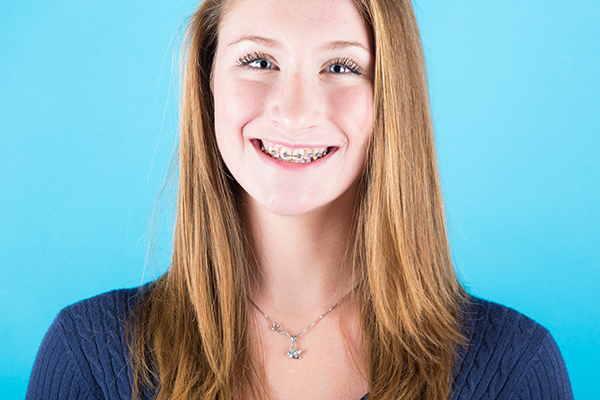 The big day for those wearing braces is typically the day they have them removed and can see their new, perfect smile! That’s why anything that may set you back can be a major concern. If you started worrying about the potential risks of wisdom teeth and braces, don’t worry! Learn the facts about how wisdom teeth and braces interact and what you can expect as your treatment continues through your late teens. During childhood, everyone loses their initial set of teeth to make room for their permanent, adult teeth. It doesn’t happen overnight, and some teeth come in later than others. Wisdom teeth are the final molars that typically appear in your mouth. Molars are the teeth typically used for grinding foods like leafy greens, positioned towards the back of your mouth. For most, these erupt between the late teens and early twenties. Do All Wisdom Teeth Need Removed? No, only some wisdom teeth need to be removed. Whether removal is necessary depends on how they appear in your mouth. There was a time when wisdom teeth were removed as a precaution, but this is generally not the case anymore. If you’re lucky, your wisdom teeth will grow in without causing any issues. These molars will erupt at the correct angle, without disrupting the nearby teeth or leaving your vulnerable to infection. In this instance, no removal is necessary. Often times, wisdom teeth will develop in a way that leaves your mouth vulnerable. If they erupt at an angle, they can become infected or even trap food, causing nearby teeth to develop advanced decay. When wisdom teeth don’t grow in correctly, the chance for infection increases dramatically. They can also put pressure on nearby teeth and cause additional damage or crowding. In these cases, your dentist will likely recommend removal. Case Three: No Wisdom Teeth! This may surprise you but not everyone develops wisdom teeth! In fact, some estimates say that as many as 35 percent of the population is born without them. Obviously, without wisdom teeth, no removal or procedure is necessary. Do Wisdom Teeth Impact Orthodontic Treatment? Fortunately, they rarely have any impact on your orthodontic treatment. However, there are some cases where wisdom teeth can contribute to a problem: dental crowding. As you age, your teeth experience wear and a small amount of drift. Wisdom teeth often come in much later than other teeth, leading them to appear around the time you might begin to notice effects of this wear. If they’re impacted or otherwise problematic, they can worsen crowding issues and be a risk to your oral health. The best way to avoid problems from wisdom teeth and braces? Wear your retainer after treatment! It will help protect your new smile from many issues, including some that could be tied to your new wisdom teeth. Should I Have My Wisdom Teeth Removed Before Braces? While this may have been promoted in the past, it’s absolutely not necessary. As we mentioned, not all wisdom teeth cause problems. There’s no reason to risk complications from a surgical removal that may be unnecessary. Additionally, you may have heard a popular myth that wisdom teeth can’t be removed during orthodontic treatment. That’s simply not true! If your wisdom teeth become an oral health risk during your orthodontic treatment, they can be removed. Your best bet is to just play it by ear. If your wisdom teeth develop in a way that causes your dentist or orthodontist to express concern, you may need to have them removed. If not, there’s no reason to go through the procedure and the potential pains of removing them just in case. This entry was posted in Braces, Expert Dental Advice, Oral Health Tips and tagged Braces, Parent Tips for Kids with Braces, teenage braces. Bookmark the permalink. Follow any comments here with the RSS feed for this post. Both comments and trackbacks are currently closed.